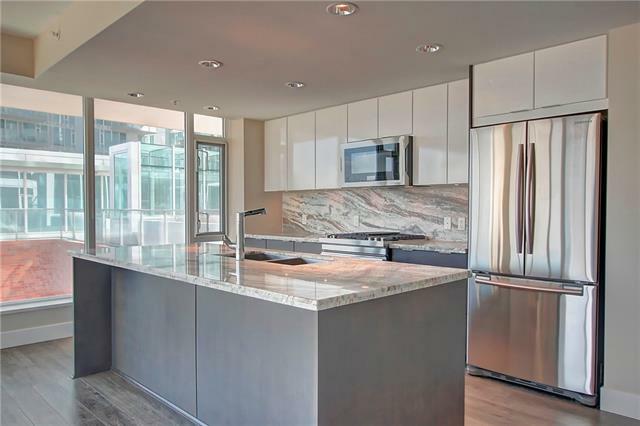 DESCRIPTION Welcome #107, 315 3 ST SE, a luxury two bedroom in the Riverfront East Village. Lifestyle, location, and unparalleled features are all packaged in this one of a kind unit. Conveniently located on the main level, this unit has a private balcony that backs onto a secured green space which emulates your own backyard. Entrance is met by the front foyer that can easily be converted into a casual sitting room or office, kitchen offers newer stainless appliances and custom roll-out pantry. Living and dining area are built for sound and met by soaring 14ft ceilings! Divided by the main living area are two bedrooms and two bathrooms, fittingly situated on either side of the unit, this makes for a perfect living situation for renters and residents alike. En-suite laundry and upgraded bathrooms. Pride of ownership – this unit is ‘like new’ and shows 10 out of 10! Direct greenspace access and 14ft ceilings throughout are a rare offering, this is a must see! Book your showing today. 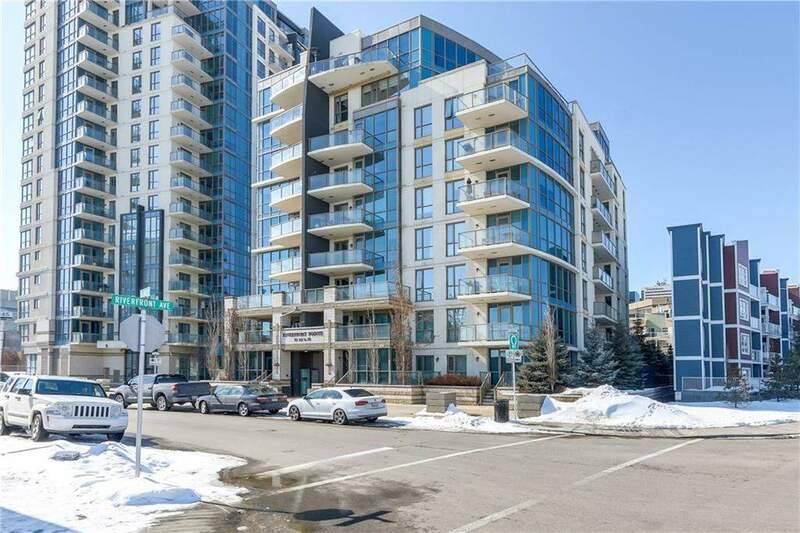 #107 315 3 ST Se, Calgary, Alberta, MLS® C4173580 T2G 0S3 is a Apartment, 2 bedrooms, 2 bathrooms, approximately 834 Sq. Ft. Listing price 359,999.00. This property was built in 2009.